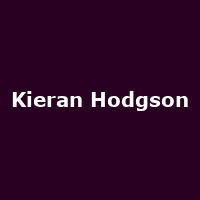 "In 2003 Kieran Hodgson heard the music of Gustav Mahler and decided to write a symphony. With the show, "Maestro", he returns with a story about falling in love and attempting something far beyond your abilities. Plus a violin. In his most personal and ambitious show to date, Kieran creates a story about trying to find love when you're the kind of loser who writes classical music instead of playing football."